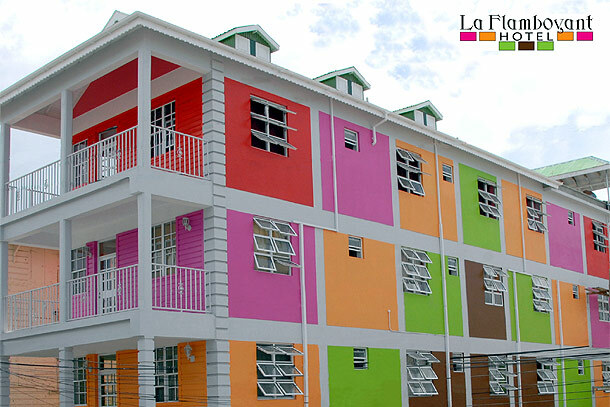 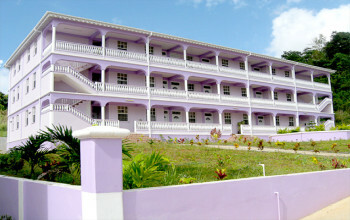 La Flamboyant Hotel stands majestically in the city of Roseau on 22 King George V Street. 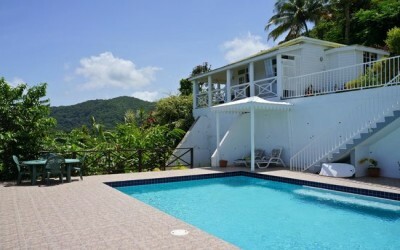 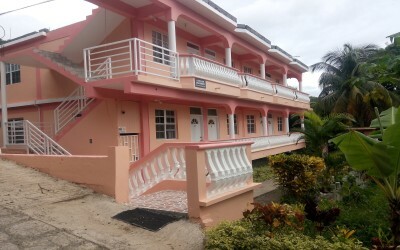 This "chick" elegant, boutique hotel blends nature's rich Caribbean colors with sophistication and comfort into modern living for the business professional and or leisure makers. 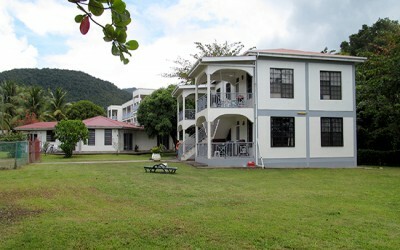 Everything from Dominica's most historical sites to corporate businesses are within walking distance or just a taxi ride away. La Flamboyant has seventeen rooms with a capacity of 45-50 guests. 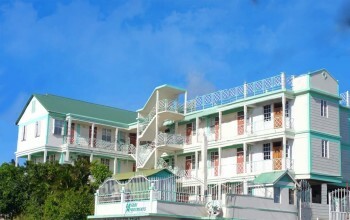 The hotel is on four floors with three floors dedicated to provide a most disserving night rest after a full business day or one fill with leisure.